New research from University of Alberta paleontologists shows one of North America's most broadly identified dinosaur species, Troodon formosus, is no longer a valid classification, naming two others in its stead. The discovery by graduate student Aaron van der Reest leaves North America's paleontology community in upheaval. In June 2014, van der Reest discovered an intact troodontid pelvis in Dinosaur Provincial Park, leading him to take a closer look at previously collected troodontid cranial bones from southern Alberta. 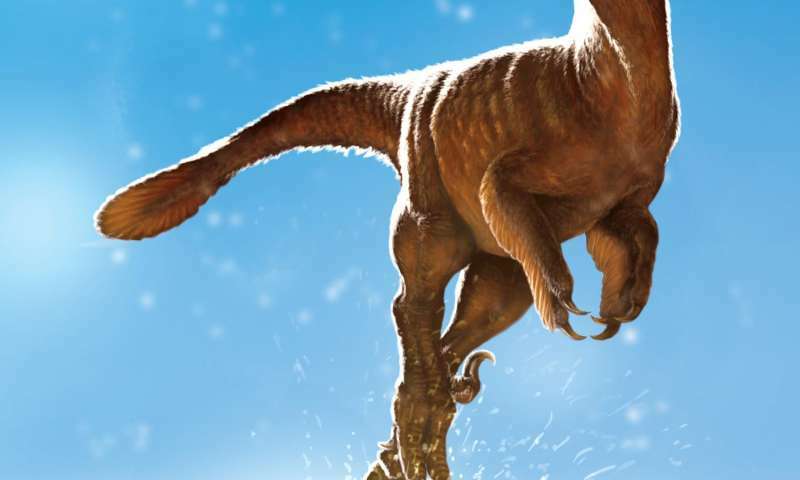 "That's when everything fell together and we were able to confirm that there were in fact two different species in the Dinosaur Park Formation, instead of just one," said van der Reest. He named one of the new species Latenivenatrix mcmasterae and resurrected another, Stenonychosaurus inequalis. Up until then, the vast majority of troodontid specimens found in North America had been classified as Troodon formosus. "Troodon formosus has been found from Mexico all the way to Alaska, spanning a 15 million year period—a fantastic and unlikely feat," explained van der Reest, a graduate student of renowned paleontologist Philip Currie. "The hips we found could ultimately open the door for dozens of new species to be discovered," said van der Reest. "Researchers with other specimens now have two new species for comparison, widening our ability to understand the Troodontid family tree in North America." Aside from being a new species, Latenivenatrix is in a league of its own. "This new species is the largest of the troodontids ever found anywhere in the world, standing nearly two metres at the head and close to 3.5 metres long," van der Reest said. 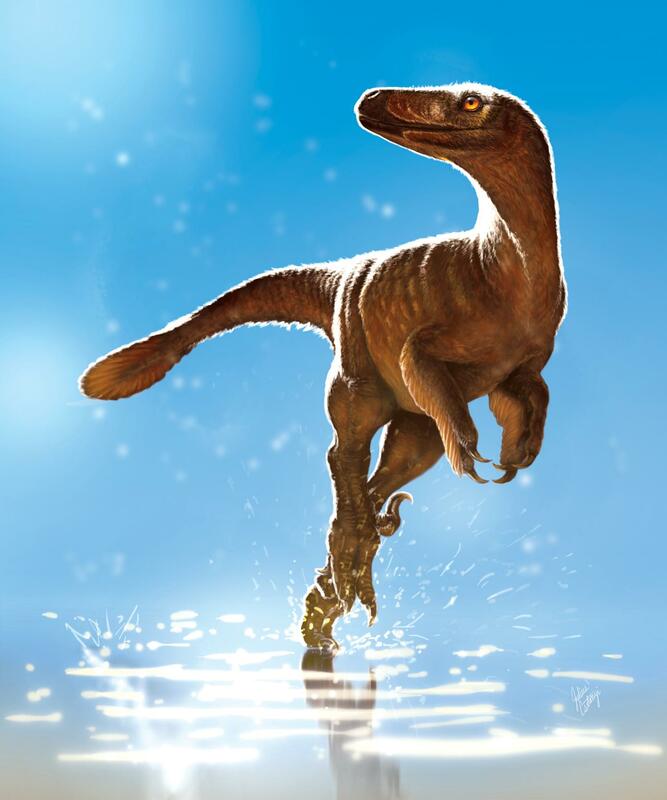 "It's about fifty per cent larger than any other troodontids previously known, making it one of the largest deinonychosaurs (raptor like dinosaurs) we currently recognize." For van der Reest, naming a new dinosaur species has been an especially powerful experience. He has named his discovery Latenivenatrix mcmasterae, or L. mcmasterae, in honour of his late mother, Lynne (McMaster) van der Reest, whose encouragement was essential for his pursuit of paleontology. "Having brought my first find full circle, from discovery to publishing my research three years later, has been really incredible," he explained. "I can't think of a better way to honour her memory." The paper, "Troodontids (Theropoda) from the Dinosaur Park Formation, Alberta, with a description of a unique new taxon: implications for deinonychosaur diversity in North America"is published in the Canadian Journal of Earth Sciences.